It's with a heavy heart we say goodbye to what was my BEST Sale-a-Bration EVER. WOW! Thank you all so much for all your support - my customers and team - you are all incredible people. 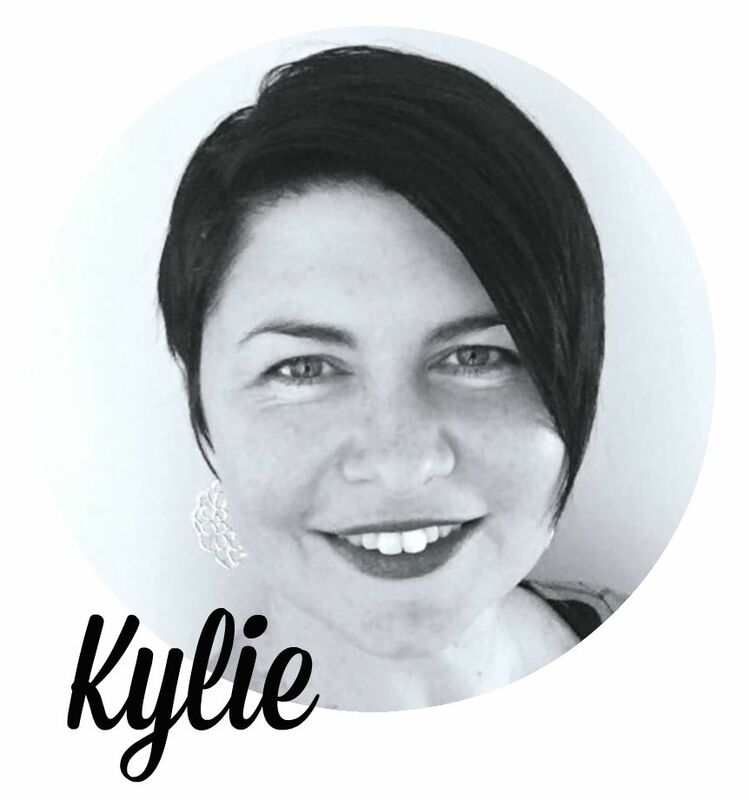 My team - the Crazy Crafters welcomed an incredible 55 new team members since the start of Sale-a-Bration on the 5th January 2016. I was thrilled to welcome 20 of those recruits to my level one team. I am just buzzing with excitement. Which kind of sums up why I have made the card that I have tonight. It is full of bling and excitement. 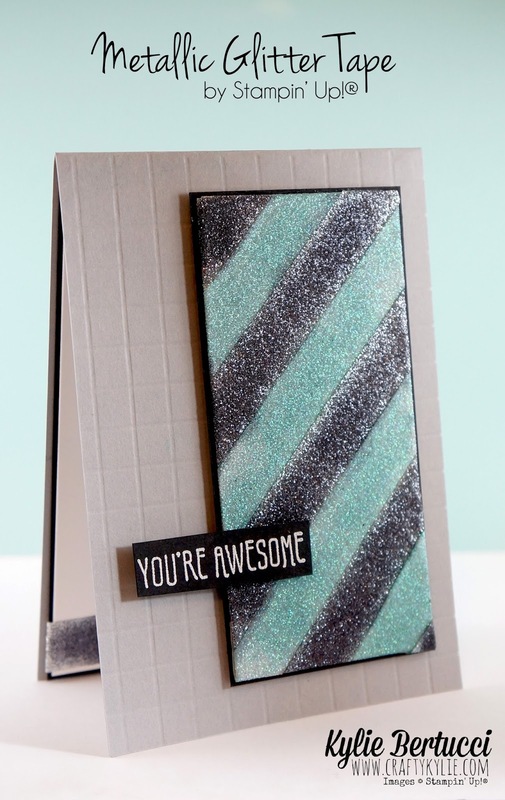 I have used the Metallic Glitter Tape and coloured it - the Silver tape in Black and the Clear glitter tape with Bermuda Bay. How much fun is that? 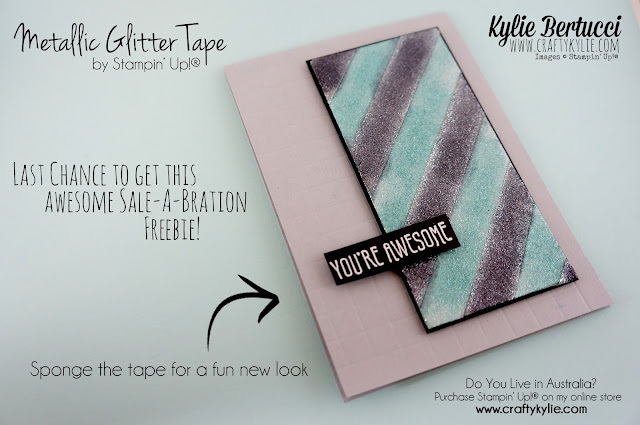 Remember there is a few hours to get your hands on that tape if you haven't already..... Every $90 you spend you get one of the Sale-a-Bration freebies. If you have this tape - have a go experimenting with different colours - I know you will have heaps of fun like I did! Use the Silicone mat to sponge on - that way the tape won't lose it's stick. The sentiment is from the Botanicals for you Stamp set that is also a Sale-a-Bration item. Thanks again for your support! If you are looking for a demonstrator to order through in Australia - I would love to look after you. My VIP group is growing rapidly and I would love to add you to them.